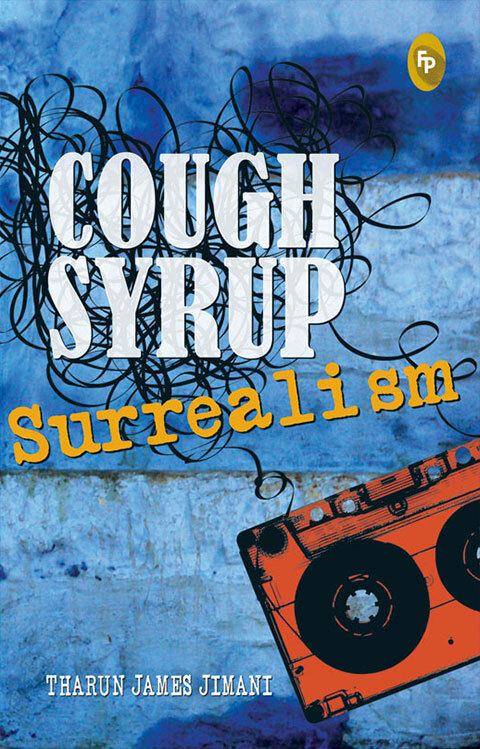 Cough Syrup Surrealism is a book that has a powerful protagonist. A protagonist who changed the definition of economics in a struggling India. A protagonist who made our eyes hurt with lurid Hindi movie posters and percolated our cassette collections with unabashedly loud music and lyrics. A protagonist who gave Nirvana a new meaning. The book’s protagonist is none other than the decade of the ’90s—in Tharun James Jimani’s debut novel, the personification of the 1990s, while never quite made obvious, is apparent in every page; sometimes as a reference to a movie, sometimes as ‘Even Flow’ by Pearl Jam, sometimes as a reference to Central Perk. Certainly, big words that are otherwise used to describe the ’90s are never mentioned in the book; there is no direct talk of neoliberalism or the Tiananmen Square Massacre, but you can see from the way that the central characters rationalise situations that the book does take all these pop-culture and political influences into account as it creates a lucid, well-paced story with Chennai as a quiet backdrop. Cough Syrup Surrealism by Tharun James Thimani. The book starts with the central character, Charlie, posting on Facebook about his plan to commit suicide, only to be ridiculed. This beginning is a testament to how wide a net social networking has cast on our lives. He is, however, unable to carry this out as his plans are interrupted by an uninhibited wildflower, Paloma. She’s the quintessential girl that every young Indian man wants to be with: the girl that doesn’t ruin your drug-fuelled frenzy by crying about her past relationships; the girl that has no qualms about taking control, whether it’s in demanding her share of the drugs, her share of being on top in bed, or her share of thieving and conniving when money is a problem. All in all, Paloma is a delightful character who, sadly, does not exist in Indian society (or even if she does, is quickly labelled as an unscrupulous girl with no moral fibre). Charlie is obviously surprised at the thought of such a girl even noticing him, let alone flirting with him, but a comedy of errors does unite the two. What ensues is a continuous psychedelic trip, going back and forth between Charlie’s past experiences—as a young boy who had to deal with the expectations of overbearing parents—and his present, where his life has changed from that of a virginal, un-cool boy to that of a confident, lead-singer-in-a-band drug dealer. The ’90s quietly make their presence felt, intertwined with the music that is mentioned in the book, interspersed in the story in the form of cheesy Bollywood romance. There always seems to be a song playing in the book—and if you let it, in your mind—as you read. Of course, the book does deal with a few clichés, including that of the un-cool kid from the small town who wants to live the American dream. Though one may feel that this is a tried and tested formula for most Indian writers catering to the youth, it’s important to remember that it is a scenario that most young people in our society can relate to, and it is a problem in our society that—no matter how cliché—has to be mentioned repeatedly, lest it falls on deaf ears. All in all, Cough Syrup Surrealism is an interesting journey to embark upon. 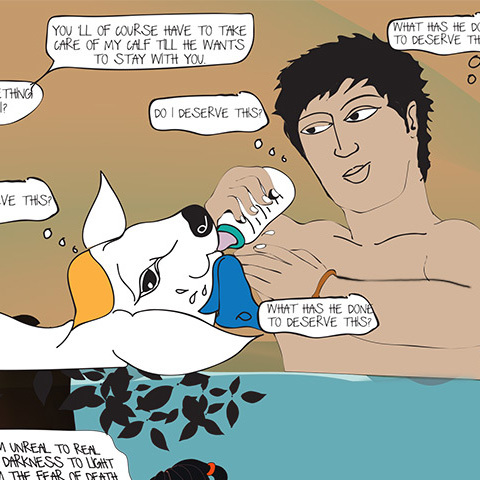 It talks about sexual liberation, drug dependencies, lying, cheating, fetishes, and sexual peculiarities in a manner that is neither prudish nor too liberal; striking a comfortable balance without being patronising in tone. The solutions to the problems that young people face are still confined to them hunting for answers on the Internet or asking their peers, who are just as unaware. No matter how much Nirvana screams about the teen spirit, there is still a long way to go for that spirit to be acknowledged. However, authors like Tharun James Jimani do fill one with hope about the possibility that young adults everywhere will have their voices heard again, that the flame didn’t fade away with the likes of Holden Caulfield. Kony is an engineering student who likes tennis, reading, and pets. Very well done! Thanks. Might give this one a read. Thanks. Yeah you should check the book out. Thanks for the review! Sounds interesting.